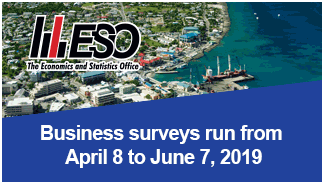 The business surveys consisting of the System of National Accounts (SNA) and the Balance of Payments (BOP) surveys will run from April 8, 2019 to June 7, 2019. The surveys which are conducted by the Economics and Statistics Office (ESO) seek to collect information necessary to measure the economic performance of the Cayman Islands as a whole and all the individual sectors. The surveys cover all entities that produce goods and services in the Cayman Islands. The previous SNA survey conducted in 2018 reveal that the country’s gross domestic product (GDP) - a measure of the total value of goods and services produced locally - amounted to CI$4.17 billion in 2017 after adjusting for price increases. This represents an economic growth of 3.0%. The BOP survey estimated that the Islands received a total of $3.28 billion from the export of goods and services (mainly tourism, business and financial services) to non-residents, against a total payment of $1.83 billion. The surveys this year aim to collect comparative information for 2018, to assist the government and the private sector in their policy-making and planning, as well as providing the global financial community with updated economic data on the country. Approximately 4,600 forms will be emailed, mailed or hand-delivered to local businesses, government entities and non-profit organisations. The SNA survey is designed in accordance with the internationally accepted standards issued by the United Nations Statistical Commission. The BOP survey is based on guidelines prescribed by the International Monetary Fund (IMF). All SNA and BOP survey returns are confidential as mandated by the Statistics Law and are exempt from the Freedom of Information (FOI) Law. The returns will be used exclusively for ESO’s statistical purpose. ESO officials emphasise that the survey results will be published in aggregate form only, with individual information remaining confidential. All survey respondents are required to return a completed form by the survey deadline June 7, 2019. ESO staff is available to assist entities in completing the forms. Survey forms and other information can also be found on the website (www.eso.ky), or may be requested by contacting 244-4676 or 244-4600.